United Airlines CEO Oscar Munoz in June 2016. On Wednesday, he apologized to a passenger who was dragged off a flight and said, "This will never happen again." United Airlines announced that it will compensate all passengers who were on board United Express Flight 3411 Sunday night. That's the Chicago-to-Louisville flight in which a 69-year-old man was dragged off the plane because he didn't want to give up his seat. United spokeswoman Megan McCarthy says the compensation will equal the cost of passengers' tickets and will come in the form of cash, travel credits or miles. 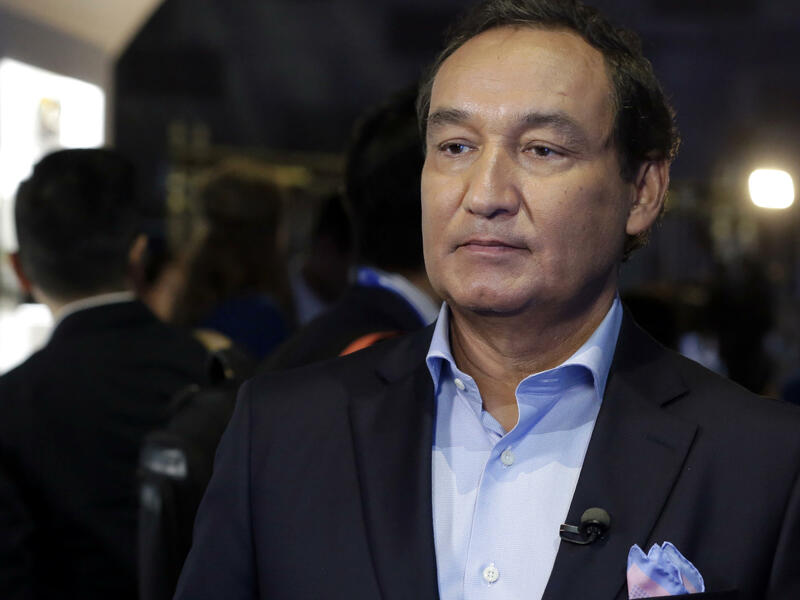 Earlier in the day, United Airlines CEO Oscar Munoz told ABC's Good Morning America that the company would never again use law enforcement officers when it decides to to remove passengers from a flight. United personnel had asked for volunteers to give up their seats for four airline employees who were needed in other cities. Three passengers left. Kentucky physician David Dao refused and was removed by officers with the Chicago Department of Aviation. Munoz said he felt "ashamed" of the incident which was video-recorded and went viral. "This will never happen again on a United flight. That's my premise and that's my promise," he said. Munoz offered an apology to Dao, his family and other passengers on the flight. The United CEO had previously referred to Dao as a "disruptive and belligerent passenger" in an internal company communication. That reaction was widely panned as exacerbating United's PR nightmare. But when asked by ABC whether the passenger was at fault in any way, Munoz replied, "No, he can't be. He was a paying passenger sitting on our seat, in our aircraft and no one should be treated that way. Period." In a statement issued on the airline's website yesterday, Munoz said "It's never too late to do the right thing."